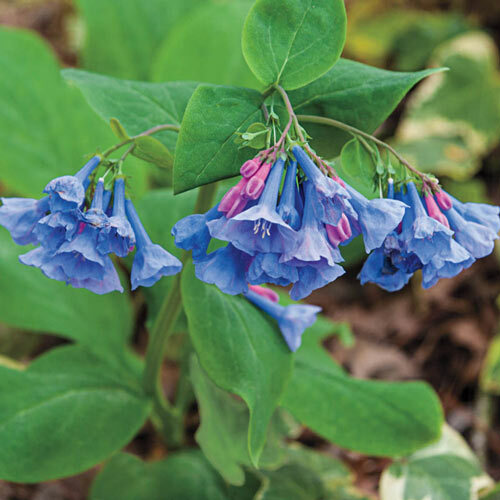 Native to North America, this perennial plant is one of the prettiest wildflowers. 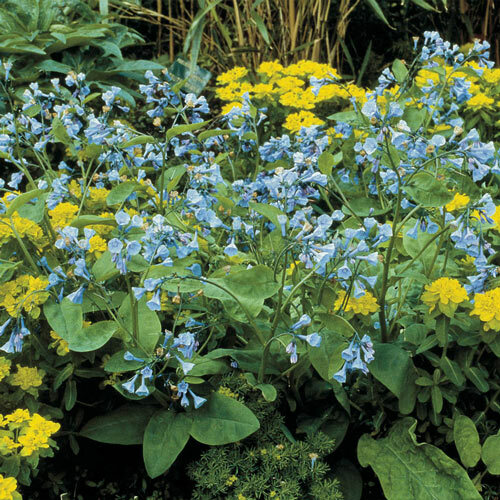 Clusters of small, trumpet-shaped flowers nodding from a single sturdy stem look stunning in any garden location. Blooming starts in early to mid spring with the formation of pink buds that later mature into lavender-blue flowers. Deer tend to avoid. 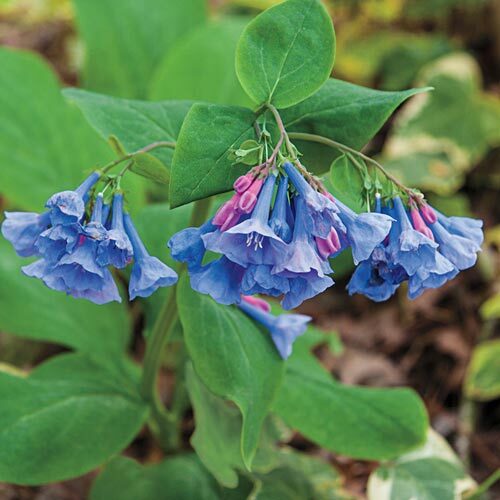 Mertensia virginica. 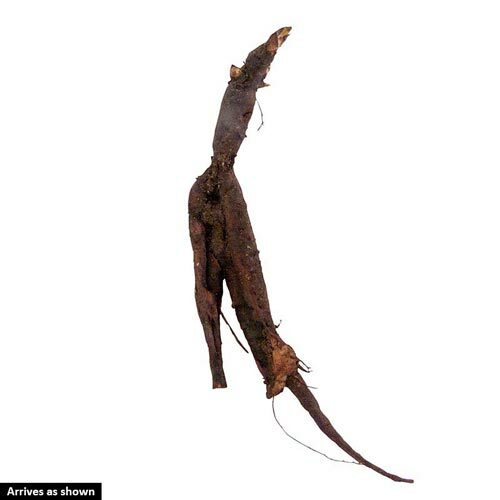 Soil RequirementMoist, humus-rich soil is best. Unique CharactersticsOne of the best-loved natives and one of the first signs of spring. Sky-blue flower clusters arise from the axils of the leaves and stem. This woodlander looks especially attractive planted next to ferns. The ferns can do double duty by filling in when the Virginia Bluebells dieback during the hot summer days.